Jammu and Kashmir should have been known better in country for its supposedly thick forest cover. The fact of the matter, however, is that now it is known more its depleting greenery. 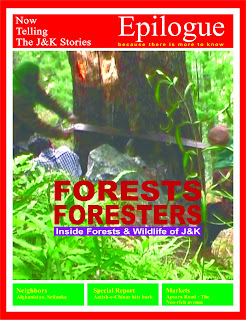 At a time when protection of forests appeared a non-priority and their exploitation had become a rank priority in the government we dared to bring out this special issue which was taken by a pinch of contempt by department’s top brass. Nevertheless, government institutions, forest agencies and non-governmental organization dealing with subject are still writing us for copies of this issue.